Neil Gaiman On Returning To 'Sandman,' Talking In His Sleep And The Power Of Comics Twenty-five years after he initially created Sandman, Gaiman returns to one of his most enduring characters. 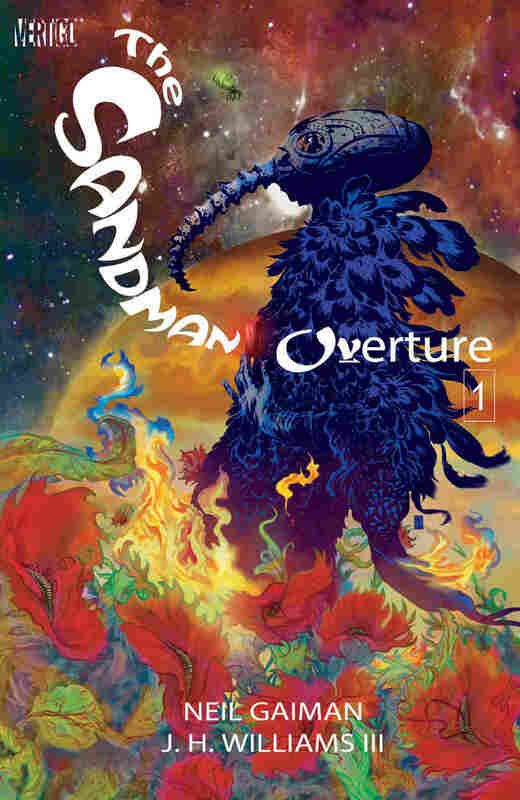 Gaiman says writing The Sandman: Overture was "the most intense period of my life." "I decided that it would be a really interesting to create a character who was Dream," author Neil Gaiman says of his character Sandman. 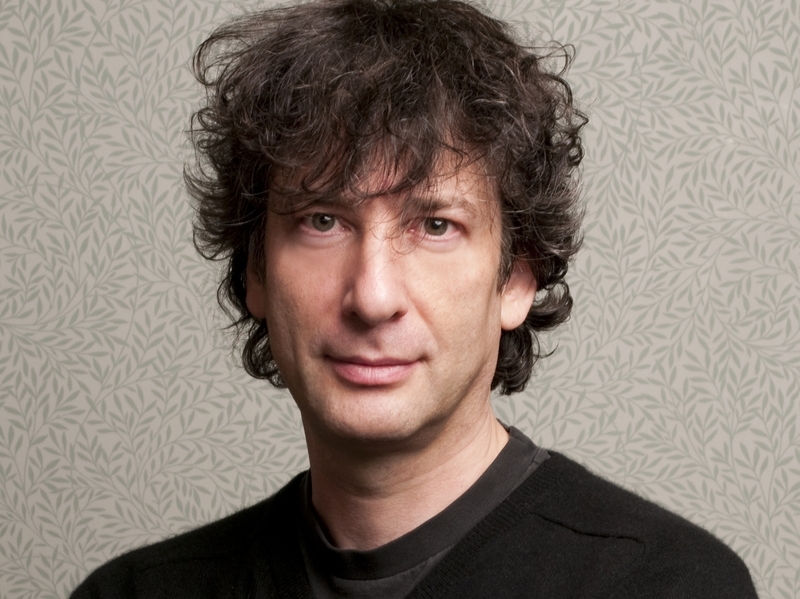 Author Neil Gaiman has always been fascinated by dreams. As he sees it, dreams are what differentiate people from one another. "None of us exist in a world that is the same world that any of the rest of us live in," Gaiman explains to Fresh Air's Sam Briger. "The world that's important is the world behind each of our eyes, which is something that none of the rest of us can access." One could argue that Gaiman's dream world is a bit more public than most. 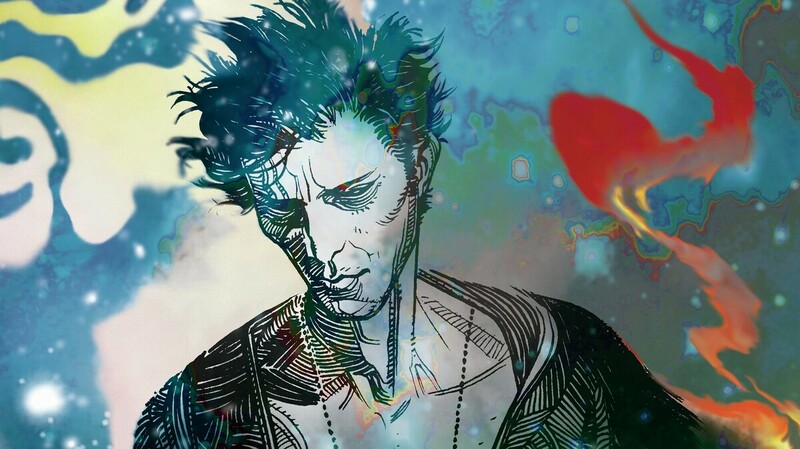 In his horror/fantasy comic book series The Sandman, originally published in the late 1980s, Gaiman introduced readers to a godlike title character who rules the world of dreams. The series ended in 1996 after 75 issues, but for its 25th anniversary, Gaiman returned to write, with illustrator J.H. Williams III, a six-part miniseries called The Sandman: Overture. He says that returning to his Sandman characters was "the most intense period of my life." "The fictional characters were more real to me, or at least as real to me, as anything else that was happening," he says. "I was spending more time with them than I was with my own family." The eponymous character of Sandman, I decided that it would be a really interesting to create a character who was Dream, who was the incarnation of the act of dreaming. He's one of a family of seven siblings, beginning with Destiny and Death and ending with Despair and Delirium. He is incredibly stiff, slightly pompous, rather lonely ... and obsessed by rules, and has very little sense of himself. He is many, many things, but empathetic is not really one of them, although he's slightly softer than he likes to believe himself to be, and he's not very funny. He really isn't — which is always one of those things that I enjoy because it allows me to have other characters around him being funny. A lot of it went back to when I started writing Sandman. Back in 1987 I began to write it. I was thinking that there really just weren't any comics out there with families in [them] — and I love family dynamics. I love the way that families work or don't work, I love the ways families behave, I love the way that families interact, and it seemed like that would be a really fun kind of thing to put in. After a while, I realized that what Americans called a 'dysfunctional family' is what we in England call 'a family,' having never encountered any of these functional ones. When I came over to America to do signings, people would say to me, "We love the Endless; we love Sandman and his family, they're a wonderful dysfunctional family." It wasn't a phrase I had ever heard before, and I said, "Hang, on. Explain to me, what is a dysfunctional family?" And people would explain, and after a while, I realized that what Americans called a "dysfunctional family" is what we in England call "a family," having never encountered any of these functional ones. I think they responded really, really well to the fact that it wasn't a pre-adolescent male power fantasy, and it had a lot of women in it, it had a lot of active women it, who were part of the story. When I started writing Sandman, I thought I should probably make sure that I have as many women in the story as men, and that they are as integral to the story as the male characters. And that is what I tried to do from that point out, sometimes failing, sometimes succeeding. I think that that was the biggest thing that made it happen. It got very strange for me because I would get at conventions large men in sweaty T-shirts and pounding my hand saying, "You! You brought women into my store for the first time!" and I would always have to bite back the urge to say, "If you sweep it, they may come back." But it really was, comics back then was a male preserve, it was male-dominated, and one of the things I love now is the fact that there really are as many female readers of comics and graphic novels as there are males. It is no longer a gendered-determined medium, which always seemed to me to be completely barking mad from the beginning. In film, a lot of the time you're not as engaged, it is all being given to you, and you're accepting it as it comes in, but in comics, as a reader, you are going to have to work, your imagination needs to do an awful lot. I think I love my dreaming process because one of the things that my dreaming process does is sort out stories for me. I will go to sleep stuck on what happens next, I will wake up and somewhere these boys in the back room have been moving heavy furniture around, they've been digging, they've been painting, they've been plastering and they present me with the solution. If that means I'm going to be a little bit chatty or a little bit weird in my sleep, I will go for it.